A few friends of mine have started a Tumblr feed about a game we occasionally play called Let's Writey Drawey. (check it out if you like- you can even submit ones you've done!) It's not a new game, and it's one many people have heard of, or played in a variation. Essentially, one person writes a line (sometimes there are word count limits) and the next person illustrates the line and folds the line of text over for the next person, who in turn has to write a line based solely on the image drawn. Simply put- it's an exercise in stupid humor. As such, it's quite entertaining. 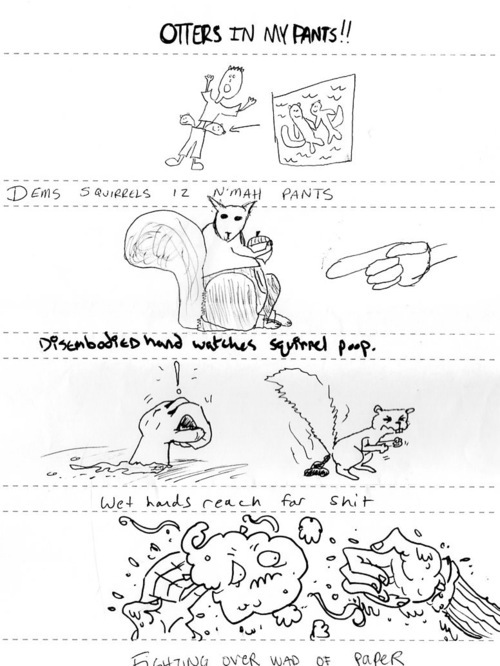 1) Otters in my Pants!!! 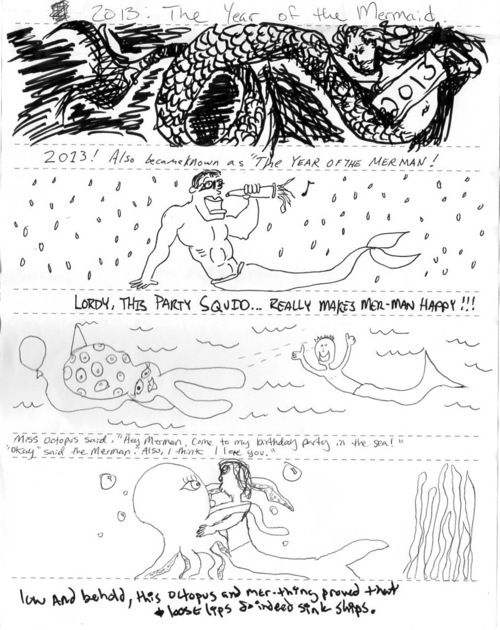 2) 2013: Year of the Mermaid. Labels: art, humor, ideas, Josh News, writing, WTF? Now that you mention it this could be an amazing app!